The following players have pre-qualified for the 2017 Quebec Chess Challenge. All invitations will be emailed or mailed out to these students in January. The following students have pre-qualified for the 2017 Ontario Chess Challenge. If your name has an asterisk beside it it means we do not have a current address or email for you. 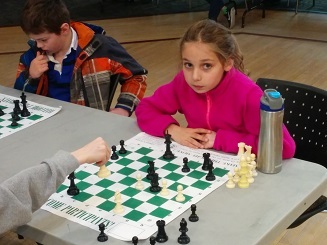 Please email ontariochesschallenge@chess-math.org to provide an address. All invitations will be emailed or mailed out to these students in February. "You didn't let me finish! I was going to say a love of chess was in the air..."
"That's a dumb way to start a tournament wrap-up." "Would you stop interrupting me and just let me write it?!" "Fine. Get on with it though." 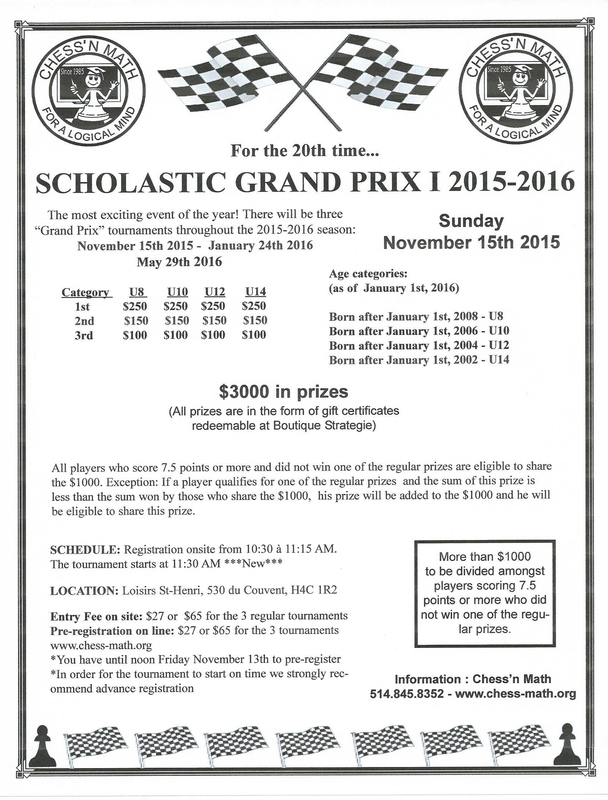 Come one, come all, there is just over a week left until Chess'n Math's first Grand Prix Event of the season! 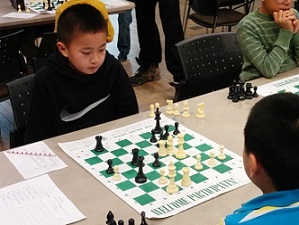 If you haven't heard about CMA's famous series of chess tournaments known as the Grand Prix, don't worry, there is a detailed explanation right here. We want to thank the 166 players who participated at the tournament, a record of the last 10 years. We will see these players again at the 2nd Grand Prix on January 2016.